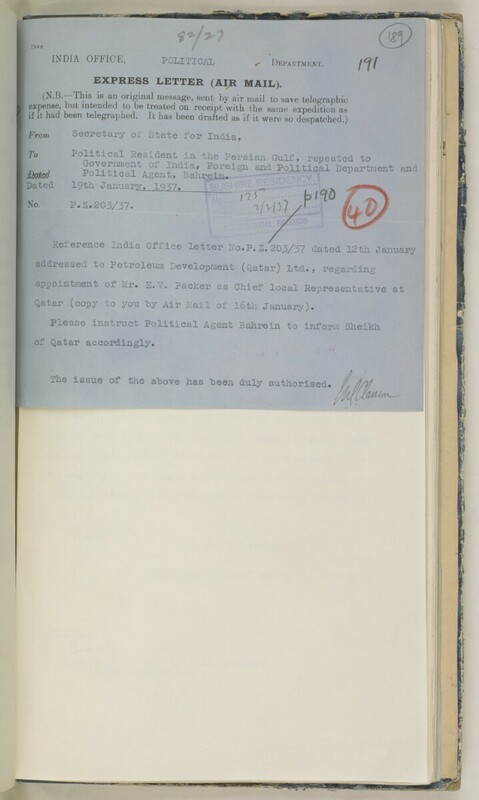 : INDIA OFFICE The department of the British Government to which the Government of India reported between 1858 and 1947. The successor to the Court of Directors. , POLITICAL ^ D epautment. Dated 19th Januar y, iq^7. Qatar (copy to you by Air , ail of 16th January).